The Queen Elizabeth Hospital in King’s Lynn. A 91-year-old grandmother who died at the Queen Elizabeth Hospital spoke of her bitterness at “being robbed of her life” shortly before dying. A “horrific” leg injury Ruth Whitmore suffered during her stay at the King’s Lynn hospital in January last year contributed to her death three months later, an inquest at Lynn Magistrates’ Court heard. Describing Mrs Whitmore as a “bright, independent lady”, senior coroner Jacqueline Lake recorded a verdict of “natural causes contributed to by a traumatic leg injury”. Mrs Lake gave the cause of death as pneumonia, with several other factors playing a significant part. These included a haematoma caused when Mrs Whitmore’s leg became trapped in her bed rails while a healthcare assistant helped her use a bed pan during the night. The injury was made worse because of Mrs Whitmore’s age and the anti-coagulant medication she was taking, the inquest heard last week. Mrs Whitmore, of Bourne Close, South Wootton, required subsequent blood transfusions and surgical evacuation of the bleed. The wound later became infected with MRSA and she struggled to regain her mobility, spending more time in hospital before her death from pneumonia on April 13. In a statement taken just over a week before she died, Mrs Whitmore said she tried to tell the male health worker about her trapped leg, but he didn’t respond and in the end she had to free it herself. However, the coroner did not add negligence to her conclusion. The pensioner was originally admitted to Leverington Ward suffering from breathlessness and was diagnosed with a lower respiratory tract infection and bilateral pulmonary emboli. She had been responding well to treatment and was expected to go home from hospital until the injury occurred. The bruise, described during the hearing as “horrific”, was not noticed by staff until several hours later. 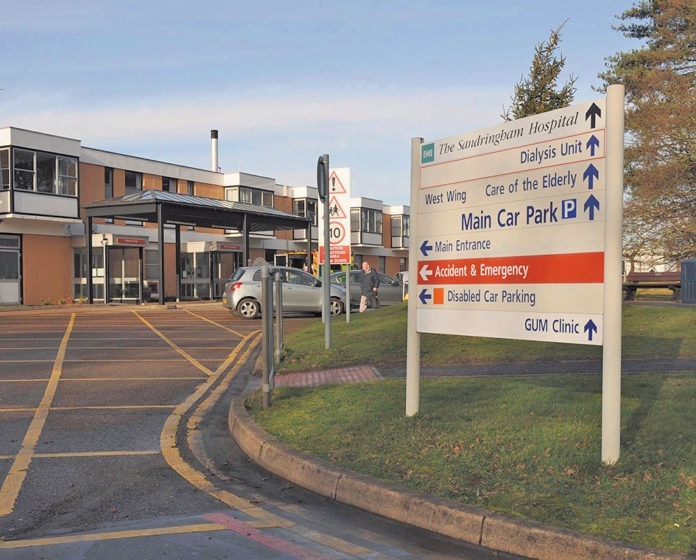 The coroner criticised hospital staff for failing to record the incident and expressed concern that the senior nurse on duty did not realise she was in charge of the ward the night the injury occurred. Mrs Lake also criticised the hospital for its initial failure to investigate the incident adequately, with no witness statements taken from staff prior to the inquest’s original hearing in August last year. By the time a second investigation was carried out and statements were taken towards the end of last year, staff could not remember specific details and both male healthcare assistants on duty – Nobin Mathew and Paul Marks – said they were not aware of the incident when it took place and both maintained they had no recollection of the injury. Making her conclusion, the coroner expressed several concerns about procedures at the hospital trust and said she would be making a report. Mrs Lake praised the trust for already taking measures to prevent similar incidents happening again. Speaking after the hearing on behalf of Mrs Whitmore’s family, lawyer Tim Deeming said: “Mrs Whitmore’s family believe their mum was let down by the very people who were meant to be caring for her. He said Mrs Whitmore was a “much-loved mother and grandmother”. QEH chief executive Caroline Shaw said after the inquest: “I would like to apologise to the family of Mrs Whitmore for the incident in which her leg was caught in a bed rail. This should not have happened while Mrs Whitmore was in our care.